For the past month, Critters all over the world have been voting for which character to bring to life on the tabletop: Calianna, Kerrek, or Ulfgar. We’ve seen users all over Twitter rally to support each character including Mark Hulmes himself getting on the action! There can only be one winner though, and it looks like Mark’s campaign was able to rally the community in support of Calianna. We are thrilled to announce that the PAX South Vault miniature winning with a whopping 70% of the vote is… Calianna. Have you given this adorable orphan a loving home? Time’s running out; orders for the Limited-Edition Kiri end this weekend! Don’t miss out and order today. 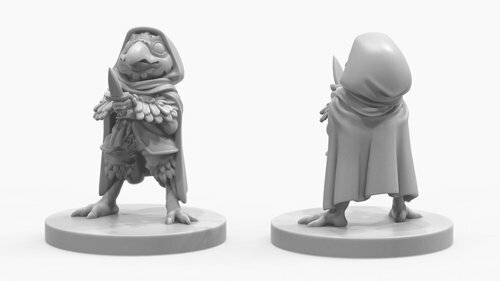 Last month’s community champion, Vanessa Cyndrial, will be available for pre-order starting November 8th for pickup at PAX Unplugged (November 30th – December 2nd) or delivery in December.